The roll-call of stars who have performed his songs includes Frank Sinatra, Ella Fitzgerald, Count Basie, Nat King Cole, Bette Midler, Sammy Davis Jnr, Shirley Bassey and Placido Domingo. Spanish Eyes, L.O.V.E, A Swingin’ Safari, Africaan Beat and Danke Schoen list among the most played hits on worldwide radio. His music has featured in many films, including About Schmidt, Bewitched, Ferris Bueller’s Day Off, The Dish, Mary and Max and Meet The Parents, as well as endless TV shows and commercials. Bert died far too young, aged just 56 in 1980 but those who love his music have always maintained his legacy. 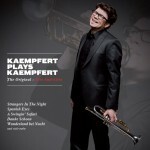 Since 1993, the Bert Kaempfert Orchestra of London, under the leadership of former Bert Kaempfert trumpeter, Tony Fisher, has given highly successful concerts in England, Holland, Switzerland and Germany and affirmed Bert’s musical trademark on eight great Saturday night entertainment programs for the ARD. 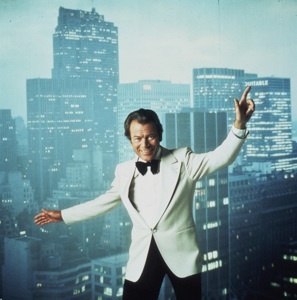 In 2003, a highly acclaimed biography was published under the title Strangers In The Night – The Bert Kaempfert Story by the writer and director Mark Boettcher as a book, TV documentary and a DVD. 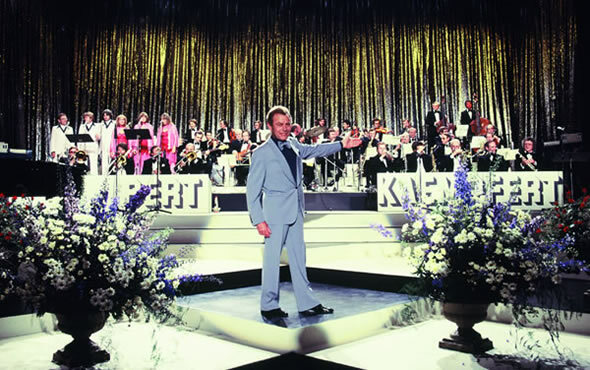 In 2006 and 2008, the HR Big Band, led by the former Bert Kaempfert soloist, Jiggs Whigham and singer, Sylvia Vrethammar made two celebrated tribute tours of major German cities. In 2010 – exactly 50 years after the release of Bert Kaempfert’s gently swinging Wonderland By Night, Universal Records paid tribute to one of their most successful ever artists with the re-release of all the Bert Kaempfert albums in a CD series with the original LP covers. 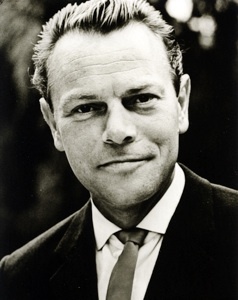 And now, a collection of these timeless orchestral works have been re-recorded by Bert’s own grandson, Stefan, under the title Kaempfert Plays Kaempfert. These fresh, modern recordings of his grandfather’s brilliant compositions ensure that, for a third generation, the music of Bert Kaempfert is part of the soundtrack of our lives.